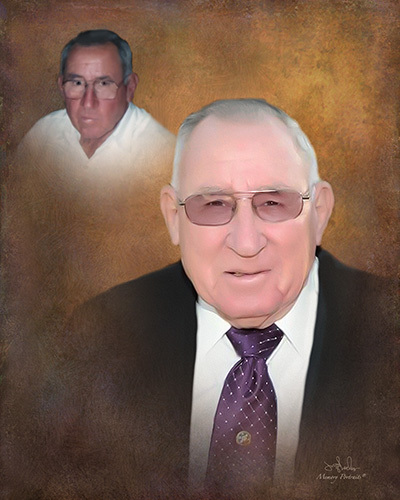 Obituary for Curtis White | Rushing-Estes-Knowles Mortuary, Inc.
Curtis (Curt) White of Reagan Wells passed away on April 5, 2019 in Uvalde at the age of 95. He was born on December 22, 1923 in Valley View, Texas to Chester Arthur and Eula Eugene (Ivy) White, Sr. He married Marie Mae “Dolly” White on May 7, 1947 in Raymondville, Texas. He is survived by his daughter, Carla Armour and husband, Michael of San Antonio; daughter-in-law, AnnaBelle White of Raymondville; two sons, Darryl White and wife, Rhonda of San Marcos; and Kenneth White and wife, Debbie of Reagan Wells; eight grandchildren, Kendall White and wife, Cheryl Kay of Uvalde, Rebekah Mann and husband, Zachary of Bigfoot, Alison Rogers and husband, Jimmy of Aransas Pass, Danny White and wife, Jessica of McKinney, Kelli White of Round Rock, Mark White and wife, Jodel of Raymondville, Haley White of Brady, and Monica Garcia of Miami, FL; thirteen great-grandchildren, Turner, Zander, Brayden, and Raistlin Wiemken of Aransas Pass, Kate and Abigail White of McKinney, Carson Kay and Haze White of Uvalde, Josephine and Otto Mann of Bigfoot, and Madison, S.J., and Riley Rae White of Raymondville. He was preceded in death by his parents; wife; sons, Marvin Curtis White and Terry Dean White; 7 sisters; and 2 brothers. Funeral services will be held on Monday, April 8, 2019 at 10:00 a.m. at Reagan Wells Baptist Church, Tuesday, April 9, 2019 at 10:00 a.m. at Good Shepherd Funeral Home, Raymondville, Texas. Interment to follow in Raymondville Memorial Cemetery. Memorial donations may be made to Reagan Wells Baptist Church, 8415 RR 1051, Uvalde, TX 78801, or Reagan Wells Volunteer Fire Dept., 4676 RR 1051, Uvalde, TX 78801.